Proporta are a well known name among case and accessories manufacturers, and they are particularly known for their luxurious cases, the attention to detail, and the clever little touches they have on their accessories. 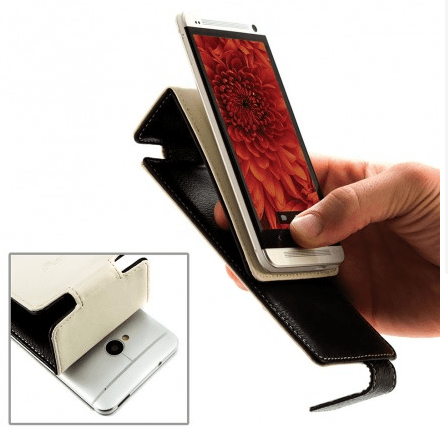 Here we take a look at the Gecko Leather Smartphone Universal Case. Pretty much what it says on the tin. It is a smartphone case, but it adds to the fact that it is universal, or to at least most part, and allows you to use it with the likes of iPhone, Galaxy S4/S3, HTC ONE, Xperia Z, etc. How to fit the phone on? Most cases use a ‘clip-in’ mechanism, but we have reviewed a fair few cases lately that actually allow you to stick your device to the case. While this may leave some gluey residue to your phone or device, it often is a cleaner solution, and means you hardly add any bulk to your device. This case features a similar attaching mechanism, where a double sided tape attaches your phone to this case. Well, yeah. The little tab on the bottom, the exposed sides, and the little kink in the case on the top all mean that all your ports are exposed in the case, as well as the cameras on all the mentioned phones can be used as well. The small tab on the top even makes sure that things like your headphones etc. can be plugged in without any problems too! This is where the case really shines. 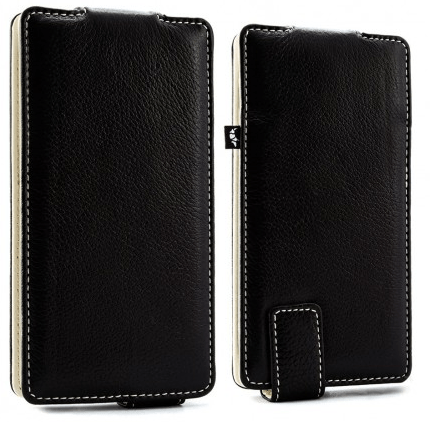 The leather gives you that premium touch and feel that you want from such a case, and once on, it becomes part of your phone. It does add a bit of bulk, but with that bulk comes plenty of protection and ease of mind. 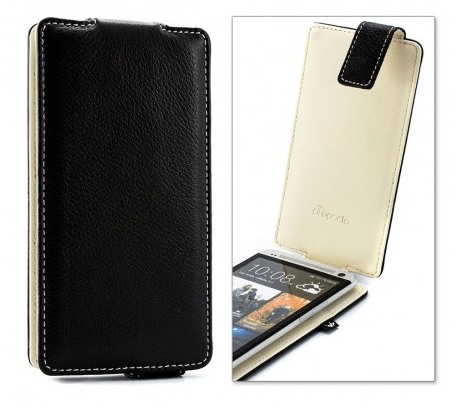 It retails for £19.95, which puts it at a very good price point, specially for similar quality cases. The only issue that I really noticed was that because of the way the case is designed, it did linger in front of the camera a few times. It also covered up the Galaxy S4’s speaker (on the back), though this did not affect the sound quality too much. Having said so, it did allow me to wirelessly charge the phone with the case still on! As phones become bigger, the whole idea of a case for your phone is starting to become an issue. They add bulk to an already large phone, but then they also add security, safety, and give you peace of mind. With this case, the latter seems to overtake the former, specially at its price!